The first thing you'll notice when you walk into our hospital is the incredibly friendly and inviting staff. Members of our team have been chosen because we know they will provide you & your pet the best possible experience during your visit. Learn more about our team below! 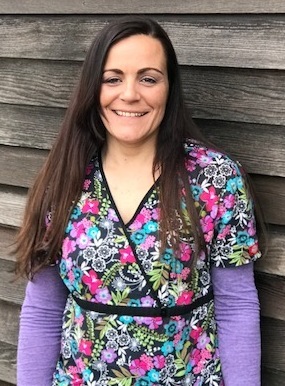 Jennifer joined the Long Branch Animal Hospital team in November of 2017. Her efficient multi-tasking skills and her calm disposition make her a perfect fit for our office manager position. Jennifer handles everything from answering the hospital phones to administering medications to patients. She keeps the hospital “in order” on a daily basis and makes sure our clients have a positive experience when visiting us. Before joining our team, Jennifer worked at Plainfield Animal Hospital, Truecare Animal Hospital and Atlantic Veterinary Hospital. She has more than 22 years in the animal health care field. She also has a degree in Biology from St. Peter’s University. “Helping patients stay healthy and feel better when they're not” is what she loves best about working with animals. When Jennifer is not working at the hospital, she keeps busy by running her two son’s Justin and Lucas to various sporting events and activities. She is also a den leader for both of their cub scout dens. In her spare time she enjoys reading, baking and watching movies. She’s most happy being outdoors, particularly at the beach or in a pool. Jennifer and her sons also live with two Dogue de Bordeauxs, Cookie and Donut, and their blue/gold Macaw, Junior. 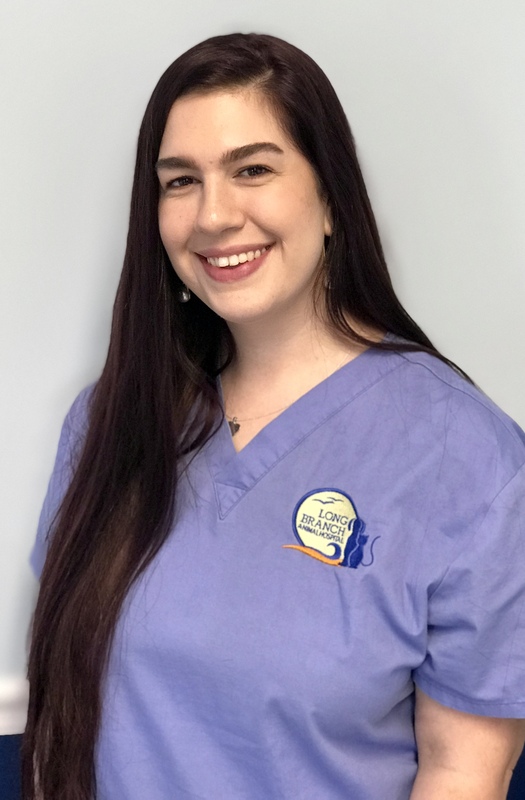 Megan Torre joined the Long Branch Animal Hospital medical team in January 2018. Megan’s main responsibilities are to assist the doctors during exams, monitor patients during and after surgery, and fill prescription requests. She also helps out in reception when she has a lighter scheduled day. Megan has worked in the animal related field for 20 years. She worked at shelters, kennels and different animal hospitals in NY and NJ since 1998. Ever since she was a little girl, she has always loved animals and always brought everything and anything home. Animals are a passion of hers and she couldn’t imagine having a different career. When not working at the hospital, Megan spends time with her family and her dogs, Monkey and Marlin. She loves to be outside gardening, hiking or going to the beach or pool. She also enjoys music and going to concerts. Mandy Ferrara, the newest member of our team joined us in June 2018. 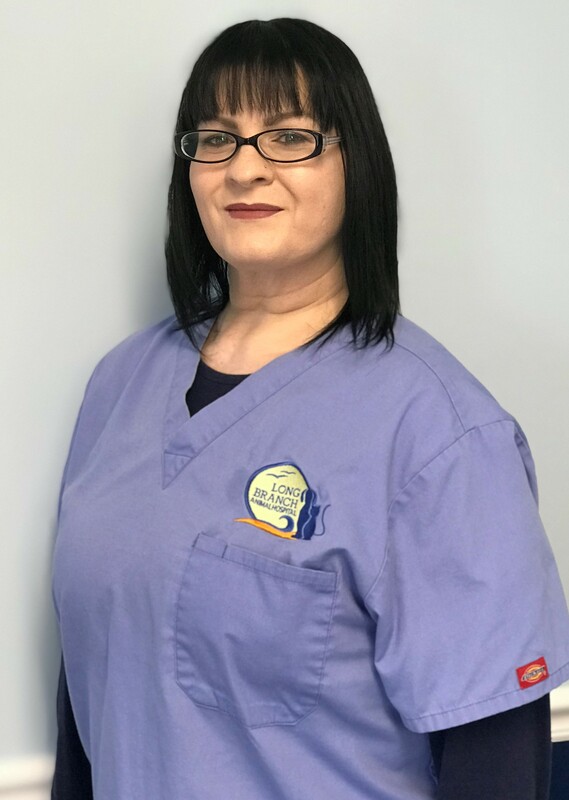 Mandy's responsibilities as a technician include assisting doctors, monitoring patients, collecting and processing laboratory samples and dispensing medications. She also helps out as a Customer Service Representative. Mandy has over 15 years of experience working in veterinary hospitals. She is Fear-Free certified and a bereavement counselor. 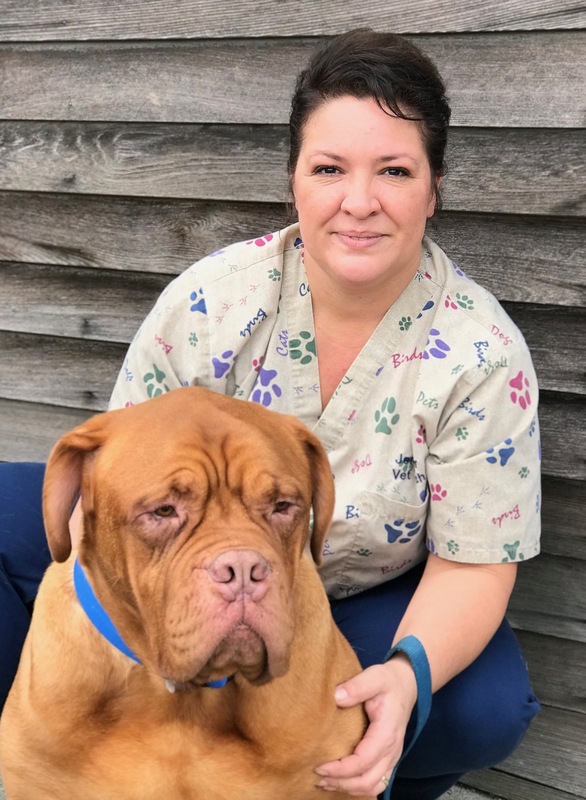 She is working at Long Branch Animal Hospital because "the doctors and staff are very compassionate and we all share the same vision for high-quality pet care." Mandy lives with a menagerie of cats and 3 dogs, Gypsie Rose 4, Brodus 7 and Chicklet 13 years old. She is excited about planning her wedding for 2019 and enjoys cooking, baking and spending time with her pets and fiance. Nicole is our part-time receptionist who has been with us since June of 2012. 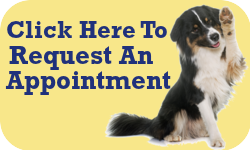 She helps our clients schedule visits for their pets and assists our doctors when needed. Nicole lives with several pets. She has a Beagle mix named Hancock, three domestic short-haired cats named Angel, Cleo and Lily, two crested geckos named Sparks and Nubs, and Sandy, a bearded dragon. In her free time, she enjoys hanging out with her family and close friends. She also likes baking and learning more about the artistry of makeup.